The City of Fairfax Fire Department is investigating the cause of the fire that caused $250,000 in damage. The medical examiner will carry out an autopsy on Friday to determine how the woman died. 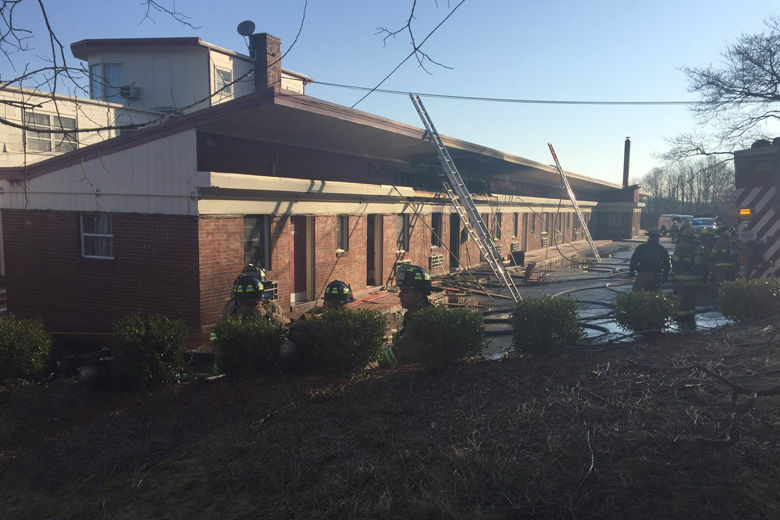 WASHINGTON — The City of Fairfax Fire Department identified the woman killed in a fire Thursday morning at the Lee High Inn on Fairfax Boulevard. An autopsy will be performed Friday to determine how 35-year-old Megan Shuman of Sterling, Virginia died. It is possible a preliminary cause of death will be released, but more details will not be available until results from blood tests and toxicology screenings come back from the lab, Fire Chief John O’Neal said. Fire and rescue units from Fairfax and Fairfax County responded at 7:23 a.m. Thursday and quickly got the blaze under control, but found Shuman dead in her hotel room. No other injuries were reported and 25 hotel guests were relocated. O’Neal said his department’s investigation into the cause of the fire is ongoing. A preliminary estimate from the Fire Marshal’s office set the damage at approximately $250,000. O’Neal recommended that all hotel and motel owners in the City of Fairfax take steps to make sure their fire alarms and smoke detectors are in working order, and that they retrofit older properties with modern sprinkler systems. O’Neal said the Lee High Inn was in compliance with the city’s fire code, smoke detectors were working upon the fire department’s arrival at the scene and evacuations were underway.